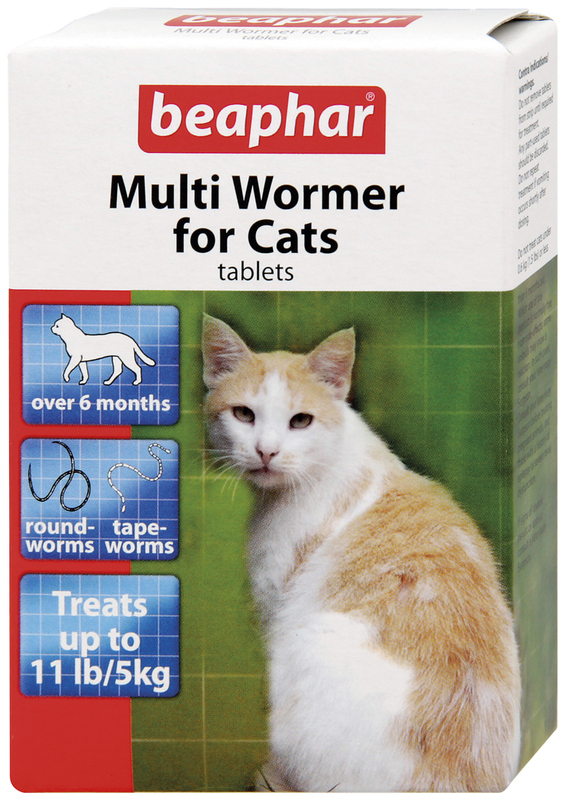 The Beaphar Multi Wormer for Cats is a comprehensive three week treatment for all UK species of roundworm and tapeworm and is suitable for cats older than 6 months. 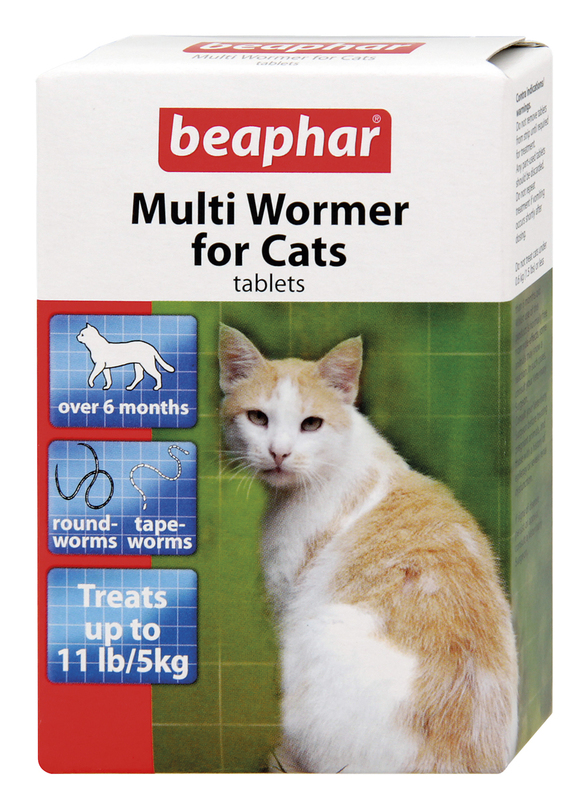 Containing two types of tablet, one for roundworms and one for tapeworms, the Beaphar Multi Wormer for Cats is highly effective against all the major species of roundworms and tapeworms in the UK. Give pink tablets on first day, fawn tablets a week later and then pink a week after the fawn. Below are some recent questions we've received regarding Beaphar Cat Multi Wormer, including answers from our team. Hi, I gave my cat the first dose of tablets on week one they eat it mixed in with their food no problem but today with the second dose of tablets the white ones I mixed it in with their food and they ate a bit and have left the rest! I could see my male cat food the taste discusting and later on my female cat started foaming at the mouth! She has also been retching! What does this mean? Do I need to see a vet? Do I carry on next week with the next dose? This sometimes happens if your cats do not like the ingredient which is used to kill off tapeworms. You can give the 3rd dose as you had originally intended and your cats will have been treated for roundworms. However they will not have had proper treatment for tapeworms. If you think that they could have tapeworms, then I would advise you give them Droncit (not Drontal, which is a full multi-wormer in itself. You might want to use this however in future). Droncit is a different treatment specifically for tapeworms. It can be given by tablet or spot-on in fact and contains a different active ingredient to the ones you have already tried.